Though roofing is designed to withstand the stresses of wind and weather for years, it is only a matter of time until even the most durable roof is in need of roof repairs. One of the surest signs that there is a problem developing are roof leaks, where rainwater trickles or drips down into the home’s interior during a storm. 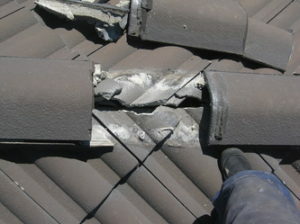 Finding damage or decay with preventive maintenance and repairing it before it reaches this stage is a much better outcome, however.Ensuring the good condition of a roof begins at its very summit, where its planes and angles come together into a simple or complex ridge. Re pointing ridge capping is an important part of roof repairs, because if the ridge is compromised, then water can flow in from the highest point and spread to nearly any other area of the home’s interior. A damaged ridge can also provide ingress for insects, whose gnawing, nest building, and wastes cause additional difficulties. Proactive re pointing of ridge capping is a wise move for those whose tiled roofs were constructed in the past, rather than in recent years. 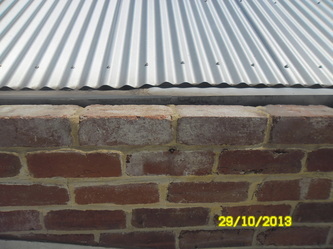 Older pointing – the material used to seal the ridge capping – was cement based and almost invariably splits and cracks in a few years. 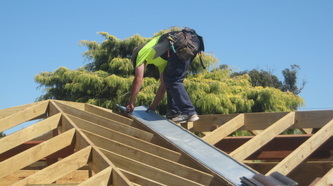 Replacing it with modern, flexible pointing spares you more expensive roof repairs in the future. 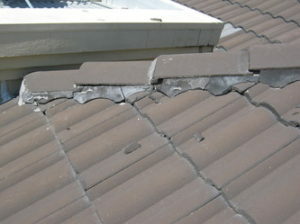 Roof maintenance should also include a plan to replace broken tiles. It is fairly rare for a tile to break unless the roof is struck by a heavy object, such as a large limb snapped off a nearby tree during a storm. 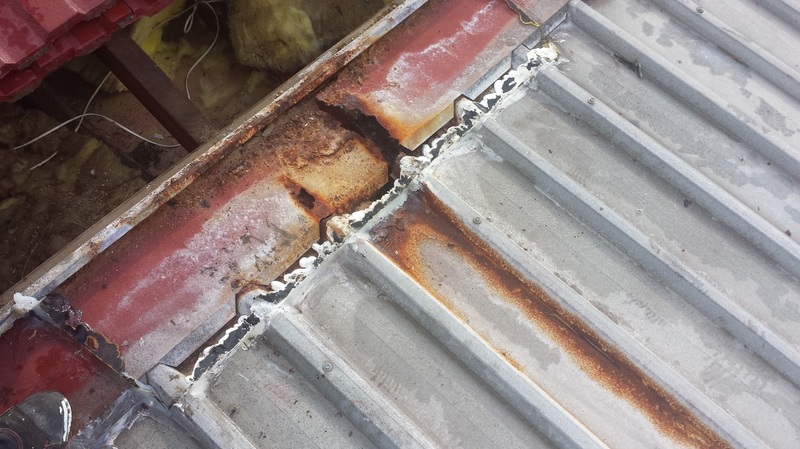 Several of the challenges involved in the effort to replace broken tiles include moving around on the roof without sliding off and sustaining serious injury, and walking in such a way that more tiles are not cracked by an incautiously placed foot. As with most roof repairs, this is a matter best left to professional roofers due to the risks of personal injury and tile damage. 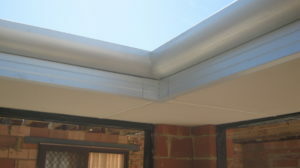 Continuing on down the roof’s surface, guttering is another target for good roof maintenance practices. If these fixtures become clogged or damaged, they can potentially cause water to pool up at the eaves during a rainstorm, possibly finding its way in through seams and cracks to inflict damage. Guttering inspection is a vital part of roof maintenance, checking to ensure the metal is intact, brackets or other mountings are still firm, and downpipes are properly attached and clear of blockage. Gutter valleys should not be neglected, either. Just because guttering is still firmly attached and crisply undamaged does not mean that the valleys are free of twigs, clumps of leaves, and other debris. Cleaning out the gutter valleys every six months, with perhaps an extra cleaning after exceptionally storm, maintains functionality near the maximum possible. 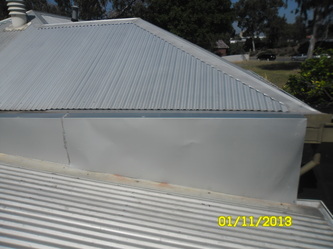 Exposed roof flashing is a crucial component of weatherproofing when present, and should be repaired or replaced when damage or corrosion threaten to make it less effective. 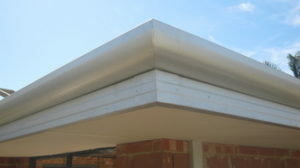 If no part of the roof is neglected or left without necessary maintenance and repairs, from the roof flashing to the ridge pointing, the most important part of a home’s defence against the weather will be sturdy and useful, preventing roof leaks and keeping the interior dry and pristine.